Sanjee Weliwitigoda advises and represents companies in connection with their corporate U.S. immigration matters. His expertise covers all types of U.S. employment-based immigrant and nonimmigrant visas, as well as labor certifications, filed before the U.S. Department of Homeland Security (DHS), U.S. Citizenship and Immigration Services (USCIS), and U.S. Department of Labor (DOL). 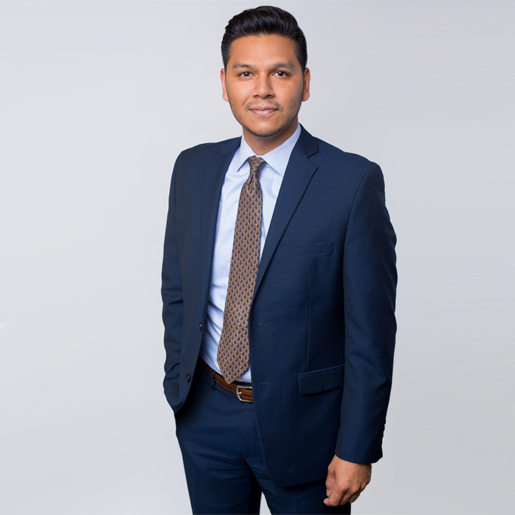 Prior to joining Berry Appleman & Leiden LLP, Sanjee was an attorney with a full-service international law firm, where his practice focused exclusively on corporate U.S. immigration and global mobility matters. During law school, Sanjee served as a judicial extern for the Hon. Lloyd B. Zimmerman of Minnesota’s Fourth Judicial District, clerked for two immigration law firms, served as the Executive Editor of the Law Review and was the recipient of the Bernard P. Becker Award (2010) from the Minnesota State Bar Association in recognition of his dedication and commitment to providing pro bono legal services to disadvantaged clients.